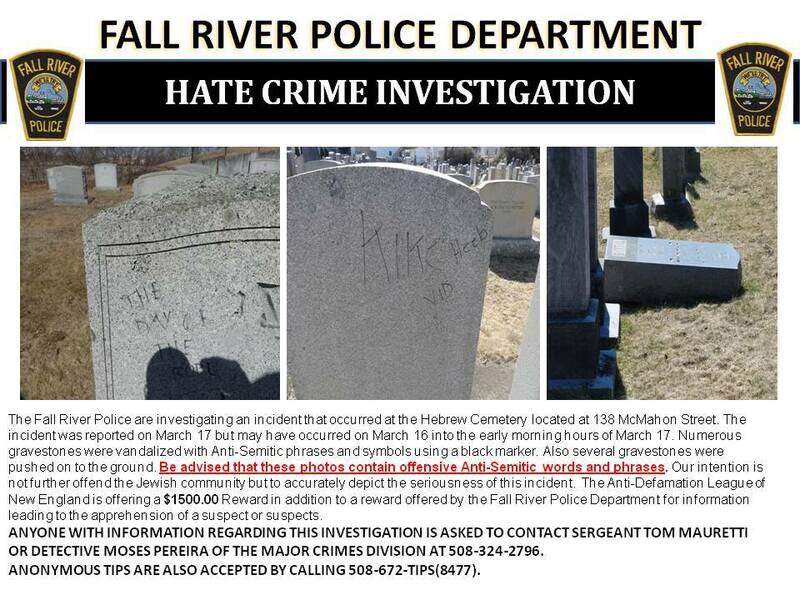 Local police say they launched a hate crime investigation after a cemetery maintenance worker discovered the vandalism, including headstones that were pushed over as well as headstones tagged with anti-Semitic phrases and symbols written in black marker. Several headstones had the anti-Semitic slur “****” written on them. At least two gravestones were defaced with the phrase “The Day of the Rope.” That phrase seemingly refers to a novel that imagines a violent race war that leads to the extermination of Jews and other minorities. The book, called the “bible of the racist right” by the FBI, has helped fuel extremist attacks like Timothy McVeigh’s Oklahoma City bombing. The vandalism is part of an uptick in anti-Semitic acts in Massachusetts, from anti-Semitic fliers being distributed in communities to graffiti at middle and high schools and universities.